Lady is a senior Labrador turning 8 soon and weighs between 25 and 40kg. Her diet needs to be enhanced with L-Carnitine to maintain a healthy weight by burning fat. All large breeds over 6 years of age and giant dogs over 5 years of age will benefit from this nutrition. Being a senior dog, Lady has special dietary requirements, like enhanced immune health, dental health, weight control and healthy joints. 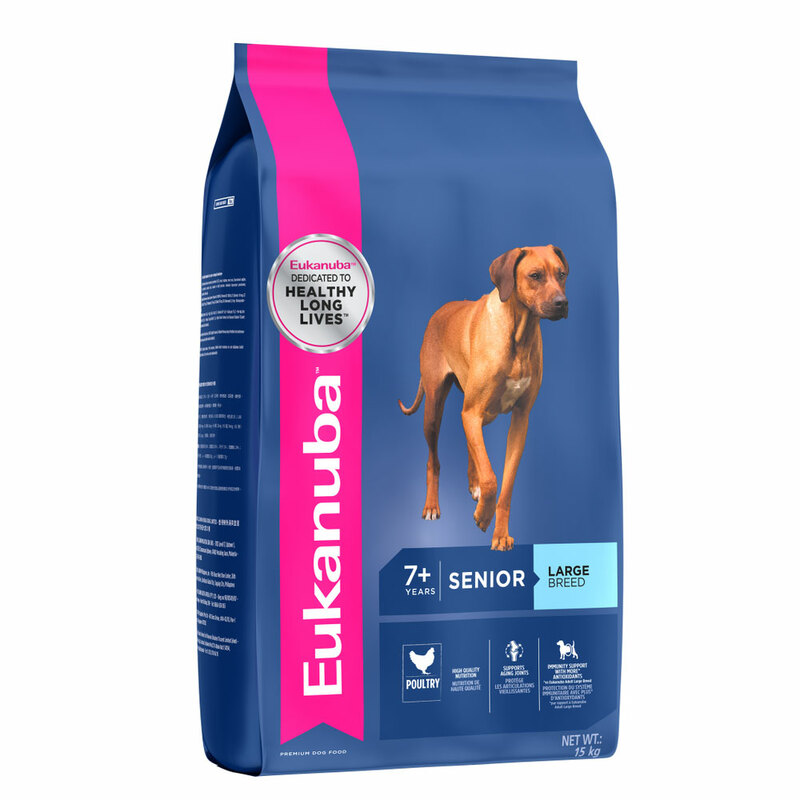 For your senior dog’s daily amount of nutrients, Eukanuba recommends Eukanuba Mature & Senior Large Breed. Its natural sources of glucosamine makes it ideal for larger breed dogs, as this, together with Chondroitin Sulphate guard against joint disease. Lady will still have her radiant coat and healthy skin. With chicken being the main ingredient of this food, she will also maintain muscle strength. The added calcium maintains strong bones. The kibbles are easily digested and have 3D DentaDefense technology to keep teeth strong. Eukanuba Mature and Senior Large Breed has a DentalCare System that mechanically removes plaque and with the help of micro-cleaning-crystals can reduce the build-up of new plaque by up to 80%. Lady is an old girl and her declining immune system will need support. 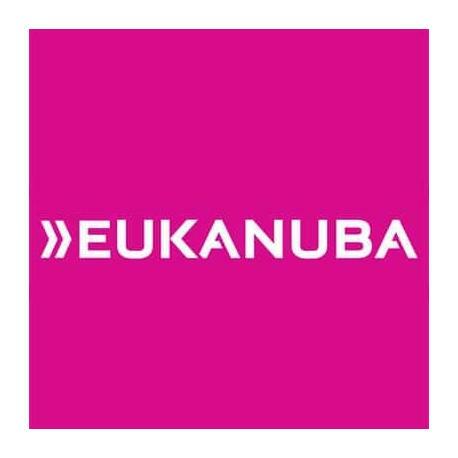 Eukanuba Mature and Senior is enriched with valuable FOS prebiotics and essential antioxidants (vitamin A, C, E and carotenoids) for a healthy immune system. and natural regeneration of healthy cells. Contains a balance of the essential omega-3 and omega-6 fatty acids, minerals and vitamins for a healthy skin and a shiny coat. Regular exercise and optimal levels of animal protein will help maintain Lady’s muscle mass and to support her organs and her immune function. Easy-to-digest proteins and beet pulp aid the absorption of nutrients and encourage a healthy intestinal environment. Eukanuba Mature and Senior Large Breed has Joint Support with Glucosamine and Chondroitin sulphate. It will support Lady’s healthy joint cartilage production, joint health and mobility. Weight Management system with L-Carnitine and reduced fat to help reduce weight, so joints don’t suffer and it improves Lady’s body condition. Ingredients: Dried chicken & turkey (27%, a natural source of glucosamine and chondroitin sulphate), maize, wheat, sorghum, barley, animal fat, dried beet pulp (2.8%), hydrolysed animal proteins, dried whole egg, brewer’s yeast, potassium chloride, fructooligosaccharides (0.52%), sodium chloride, sodium hexametaphosphate, fish oil, calcium carbonate, linseed. Additives: Vitamins: vitamin A (44,933 IU/kg), vitamin D3 (1491 IU/kg), vitamin E (250 mg/kg), beta-carotene (28.3 mg/kg), L-carnitine (56.8 mg/kg). Trace elements: Copper sulphate pentahydrate (46 mg/kg), potassium iodide (3.3 mg/kg), ferrous sulphate monohydrate (607 mg/kg), manganese sulphate monohydrate (46 mg/kg), manganese oxide (33 mg/kg), zinc oxide (211 mg/kg). Order your dog food on Pet Hero online pet store and have it delivered right to your door.